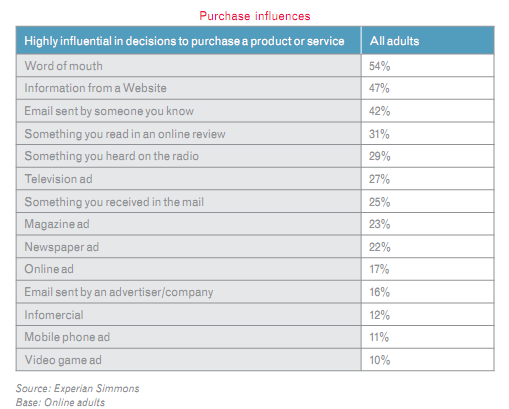 Despite consumer reliance on digital devices and Internet-provided information, the most influential element driving purchase decisions today is still word of mouth, followed by information from a Website (47 percent) and email sent by familiar peers (42 percent). Advertising in video games and on mobile phones seems to influence far fewer consumers in purchase decisions. How are you integrating word of mouth advertising into your marketing strategy?